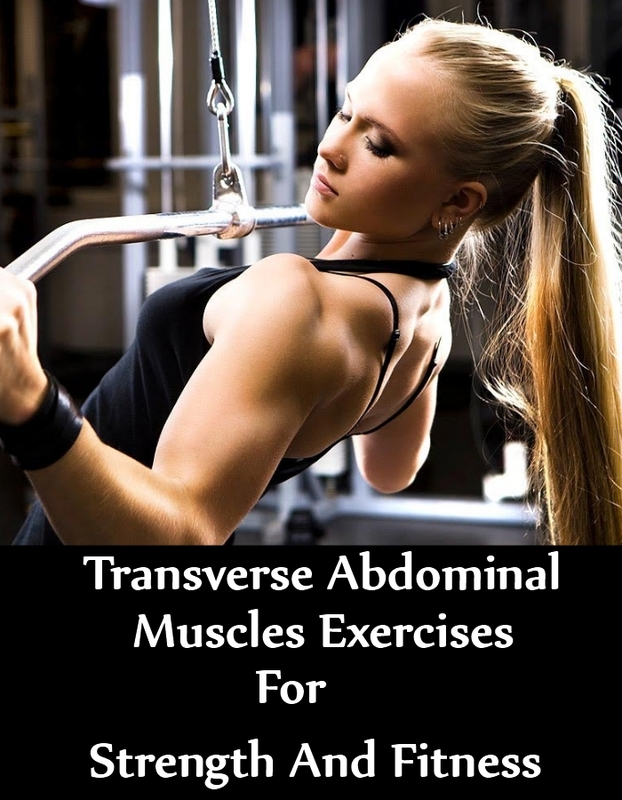 Transverse abdominal muscles are one of the deepest muscles which make up the abdominal system. These muscles should be worked on regularly for improved sports performance, as they play an important role in spine strength and fitness. The muscle is quite like a girdle. It plays a major role in getting strength and stability. Including this workout in your schedule will also help in losing fat from the lower abdominal region, toning muscles and improving muscle agility. This exercise doesn’t require an outdoor environment. You can lie down flat on your back on the floor. Keep your legs completely extended. One of your legs shall be at a 90-degree angle and the other leg shall be at 45-degree angle. Your hands need to be just behind the head. Now, slowly move up your shoulders from the ground. Your neck shall be in complete alignment with the spine. You should not pull the neck forward. Now, start moving the legs quickly just as you would pedal a bicycle. You need to keep alternating your legs. You will be alternating the legs to make a 45-degree angle. As you start feeling tired, you can slowly lower the legs and rest for a few seconds before you resume. You need to do this workout at least thrice in a week. You do not need any kind of special equipment for this workout. Begin by lying down on a yoga mat or on ground. You will be comfortable, as you lie down on your stomach. Slowly, move up your body and toes. You need to be sure that your shoulders, glutes, and heels are in a completely straight line with one another. You shouldn’t allow the glutes to sag a bit downwards. Stay in this position for at least 30 seconds. If you start feeling comfortable, you can increase the hold to as much as 60 seconds. You need to do this movement at least 5 times in a day. You will do this workout as you lie down on your back and as your knees are bent. You will slowly draw in the lower abs and then straighten one leg. Hold on to this position and keep your legs at least 4 inches above the ground. You need to raise your other arm just above the head. You need to do this movement without holding the breath or even allowing abdominal hollowing. You need to stay in this position for at least 2 seconds and then get back to the start position. You will again repeat this movement using your other leg. You need to completely lie down on your back and on the floor. Keep the legs extended. You will also extend your arms just behind the head, as you hold on a medicine ball. Now, slowly you will lift your hands from the ground at a height of 6 inches. Your neck has to be in good alignment with the spine. You shouldn’t pull the neck forward. As you bring the complete extension, you will slowly move your knees close to your chest. You will also bring the medicine ball, a bit forward close to the knees as you lift the shoulders above the ground. Once you see that your knees are touching the ball, you can slowly extend and get back to the start position. You need to ensure that abdominals are completely tight through the entire movement. This shall be a single repetition. You need to repeat the exercise till you are completely exhausted. As you feel tired, you can rest your legs on the floor. Let the ball get free and sit up. You will need a lightweight dumbbell for the purpose. In case you do not have a dumbbell, you can also use a water bottle. Start by balancing on the tailbone as your feet is in an elevated position and your ankles are completely crossed. You will hold on a weight using your hands. The weight shall be just in front of you. Now, slowly move it close to the chest, as you keep the arms bent. You need to pull the weight down and towards the ground by a side. Now, you need to slowly tighten the core muscles and pull the weight back to another side. You need to maintain your core strength throughout as you do the movement. Keep the arms engaged and your abs shall be in good collaboration with the other one. You need to repeat the movements for at least 3 sets. Each set shall be of 20 repetitions.